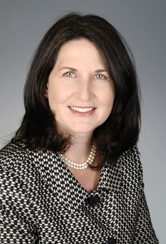 LORETTA A. REDMOND is a partner at Quirk and Bakalor, P.C. For the almost thirty years, Ms. Redmond has successfully defended clients in all stages of litigation in state and federal court. She represents a broad base of clients, both directly and through insurance, including air carriers, power tool manufacturers, consumer product manufacturers, automotive parts manufacturers, elevator and escalator manufacturers, construction equipment manufacturers, property and business owners, construction managers, general contractors and sub-contractors, individuals and insurers. Ms. Redmond analyzes and evaluates diverse legal and procedural issues such as jurisdiction, standing, existence of or breach of duty, causation, intervening or superseding cause, applicability of federal safety or security regulations, preemption, defamation, slander and libel, intentional interference of business or employment relationships, design and/or manufacturing defect, breach of contract, breach of warranty, and forged signatures, and vacating default judgments. Not only has Ms. Redmond tried several cases to verdict, she also has successfully argued many cases on appeal. Ms. Redmond has substantial experience managing the defense of clients in mass tort litigation including in asbestos litigation. She was part of the defense team representing United Air Lines, Inc. in the litigation arising out of the September 11 Terrorist Attacks since 2002. She coordinated the discovery on behalf of her client in the federal court litigation as well as for the 9/11 Commission, the U.S. Government Commission set up to investigate the events of September 11, 2001. Ms. Redmond joined Quirk and Bakalor, P.C. in 1989. She is admitted to practice in New York, the U.S. District Court, Eastern and Southern Districts of New York and the Court of Appeals for the Second Circuit. She has been admitted pro hac vice in the New Jersey State Court. She works with local counsel in other states as well as acts as local counsel for clients in matters in New York. As an advocate of the moot court experience during law school, Ms. Redmond has volunteered as a judge in several National Moot Court Competitions, including programs held by the ABA and NYCBA. · Richards v. Forest City Enterprises, Inc.
· Egan v. A.J. Const. Corp.